I have been visiting my Dad, his place is a bird watchers paradise. So many beautiful birds to photograph, I'm gonna need a bigger lens! 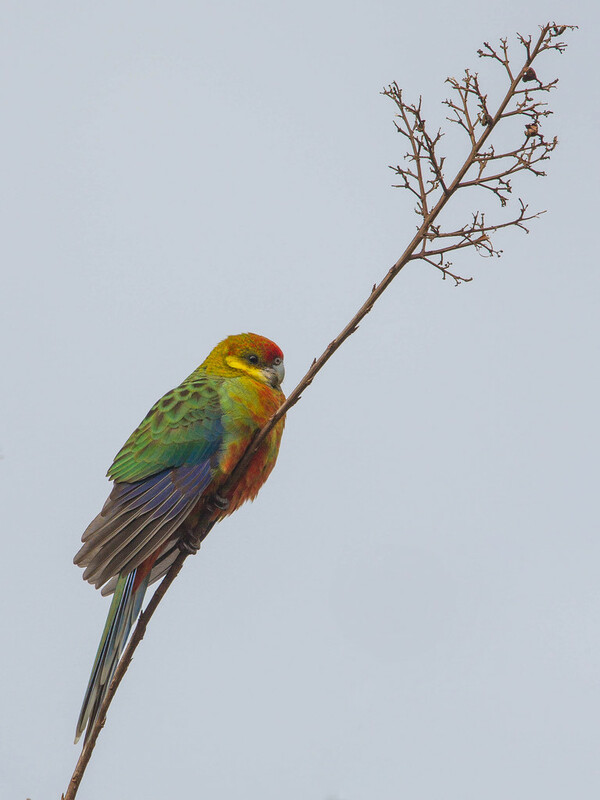 Beautiful colours, what a lovely rosella. Looks like a youngster. What a stunning bird!!!!! Oh dear...... I can see an expensive shopping trip coming on! Fantastic color against an otherwise drab background - very nice. Fav! Wonderful composition! Excellent! Fantastic colors and details! FAV! You can tell its young by the lack of colour, they are very beautiful birds, especially the males as always. Great shot Jodie!